It’s Tastemakers time. On May 12 at Brazos Hall, the fourth annual CultureMap Tastemaker Awards will celebrate Austin's finest culinary talent. Last week we kicked things off by spotlighting the nominees for Bartender of the Year. Now, we’re introducing you to the nominees for Restaurant of the Year. The 11 nominees, which were selected by a panel of culinary experts, represent the range of Austin’s dynamic and growing restaurant scene. 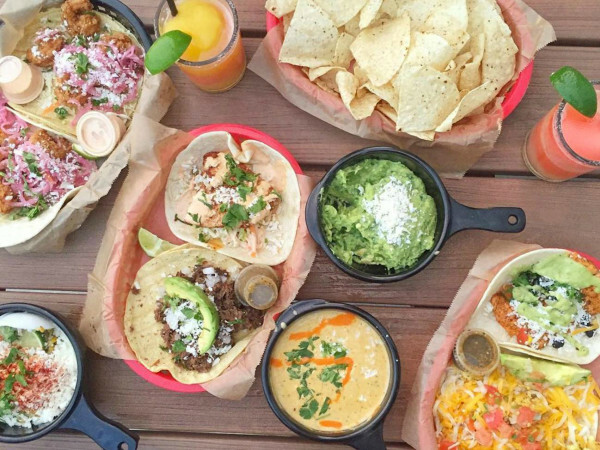 There’s a mix of fine dining and casual and old and new hot spots (although the majority have opened in the past five years or less, which illustrates the tremendous growth in Austin’s culinary scene). There’s diversity in neighborhoods, too, including three nominees — Qui, Dai Due and Bufalina — from Austin’s buzzing east side. Read on for an introduction to each of the nominated restaurants, and buy your tickets here to see the winner announced in person at the 2015 Tastemaker Awards. Chef Drew Curren has a knack for taking French classics and subtly elevating them — like the perfectly pan-roasted frog legs served with split green beans, a savory horseradish crème fraîche, prunes, brown butter and almonds. Plus, Antonelli’s cheeses and fresh Easy Tiger breads make the well-chosen French wine list that much more of a delight. There’s almost always a wait at Steven Dilley’s East Cesar Chavez pizza joint, but fortunately there’s an excellent and affordable wine list to help you pass the time. And once you are seated in the bare-bones, buzzing dining room, you’ll be glad you waited. Super-fresh ingredients like mozzarella, prosciutto, arugula and Meyer lemon top the wood-fired, Neapolitan pizzas. The pies are blistered to perfection, giving them a warm, chewy taste that has just the right amount of sweetness. And speaking of sweetness, while pizza is the real star here, dessert shouldn’t be forgotten: Simple dishes like olive oil cake with honey ice cream top off the meal. Café Josie is one of the few nominees that has been an Austin favorite for a while now. Originally opened in 1997 by Chef Charles Mayes as a West Austin spot for exotic, tropical cuisine, Café Josie has been undergone changes in recent years, including new ownership and a menu transition under Chef Brandon Fuller (who served as executive chef until very recently). While die-hard regulars may be nostalgic for classic dishes from the menu, the overall consensus is that the spot just keeps getting better. The bright and sunny restaurant takes the farm-to-table mantra seriously and aims to locally source as much of the menu as possible. Inventive, fresh flavors are delivered in dishes like the local goat ribs, served with blue corn grits and a shaved fennel salad. The most upscale of Chef David Bull’s three-concept space in downtown Austin, Congress defines fine dining, Austin style. The intimate dining room feels special without feeling stuffy, and the option to dine from the seven-course tasting menu or a la carte lets you create your own experience with the locally and sustainably sourced “natural American” cuisine. Even if you don’t indulge in the deliciously decadent menu “enhancements” like foie gras torchon (apple, celery, raisin, foie gras brioche and salted peanut), dining at Congress always feels like a treat. The attentive, friendly service and thoughtful wine pairings from an impressive list don’t hurt either. Local comfort food is the idea at Chef Jesse Griffith’s butcher shop/restaurant hybrid. Starting with pop-up dinners and a food truck at farmers markets, Griffith built up a reputation well before he opened his brick-and-mortar on Manor Road last summer. Dining at Dai Due is like a theme park for meat lovers, because as you sip on local craft beers and dig into dishes like braised rabbit or grilled quail with a side of kale au gratin, you also get to watch the business of the old-school butcher shop. One of the best things about Foreign & Domestic is the balance it strikes between feeling neighborhood-y and celebratory. 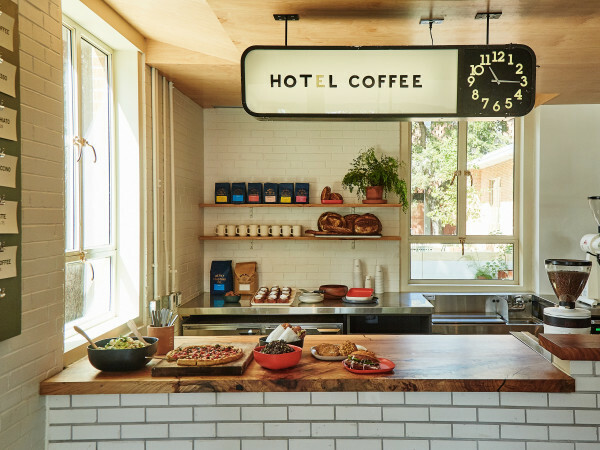 During the week, you can casually pop in for coffee and a stellar pastry between 7:30-11:30 am. Or head over on a Monday for fried chicken and dollar oysters. But the homey, welcoming vibe at Foreign & Domestic doesn’t mean you can’t have a really excellent, refined meal there. There are lovely bottles of wine to be had and entrees like lamb loin (with Brussels, parsnip, pear and black garlic catsup) or black truffle spaghetti to indulge in. What started as award-winning Chef Bryce Gilmore’s trailer became a brick-and-mortar at the end of 2013 to much anticipation. The menu and the space have lived up to the hype — and then some. 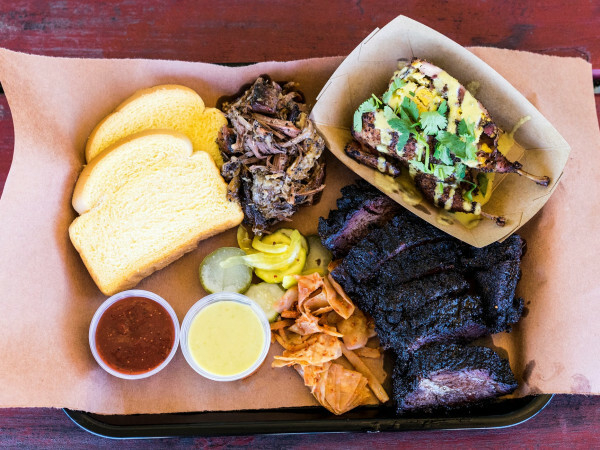 The bright, open and always buzzing South Lamar spot offers more casual fare than its sister restaurant, Barley Swine. But don’t be fooled by the word “casual.” Gilmore’s dishes are anything but ordinary. The chef’s creativity and commitment to using hyper-fresh ingredients make veggie-based plates like grilled carrots (with avocado, mole, orange and feta) or sunchoke tater tots (deviled eggs, beets, dill oil) total standouts. That philosophy carries well into the bar menu, too, where inventive cocktails like the Roquette (arugula infused vermouth soda, Lillet, lemon) and the Green Thumb (gin, tarragon, parsley tincture, lemon, salt brine) are made with fresh juices and lots of green things. Olamaie has maybe been the buzziest of the new restaurants to open this past year. Chefs Michael Fojtasek and Grae Nonas have gained not only local but national fans with their contemporary twist on Southern dining. The duo recently got a nod from Food & Wine, who named them among the Best New Chefs of 2015. Tucked away at 16th and San Antonio streets in a beautiful, 80-year-old cottage, the restaurant is the result of the chefs' extensive culinary tour of the South. Inspired by seasons and vintage cookbooks, the frequently changing menu features dishes with just the right amount of flair, like the crawfish mousse (remoulade, shaved asparagus, benne cracker) and Strube Ranch mishima beef (Carolina Gold rice, king trumpet, spring onion, Texas olive oil). Oh, you might not see them on the menu, but order the biscuits. We repeat: Order the biscuits. Austin restaurateur extraordinaire Paul Qui opened his flagship east side spot in 2013 to much fanfare. The menu is inspired by the deep range of Qui’s background, including his Filipino birthplace, Texas roots, classic French training and experience working at Japanese favorite Uchiko. Inventive, playful dishes like fried chicken (with smoked oyster aioli, sal de gusano and egg yolk custard) and Texas Waygu short rib (kimchi, braised daikon, leek, nori, wasabi) are featured on the seven-course, $65 per person tasting menu. If the weather's nice, we suggest kicking things off with a tasty cocktail, like the Shore Leave (Mount Gay Rum, lime, pumpkin seed horchata, aromatic bitters) on the hip and happening patio. This modern Thai restaurant, a joint venture from the folks at La Condesa, opened in 2012 in a beautiful, Michael Hsu-designed space. The spot feels both serene and festive, with large community tables and dishes meant for sharing. Open all day, we like going for a late lunch, ordering a house brew Kosmic Kombucha (lemongrass, kaffir lime, young coconut water) and sitting at the bar counter of the open kitchen, where we get to watch the magic happen. Japanese farmhouse-style dining is the idea at this North Lamar sushi hot spot, opened by James Beard Award-winner Tyson Cole. Uchiko has long been a go-to spot for some of the freshest fish, boldest flavors and finest service in town, and the sustainably focused seasonal menu never fails to impress. Lately, we’re especially into the pork jowl (Brussels sprouts kimchee, romaine, preserved lemon crème fraîche) and the hama chili (baby yellowtail, ponzu, thai chili, orange supreme), but the best thing about Uchiko is that it’s impossible to order wrong. Go between 5-6:30 pm for a small(er) crowd and special “sake social” menu. Tastemaker winners from 2013 and 2014 were not eligible to be nominated this year.